When it comes to a famous landmark, to what extent does locale add to its majesty? 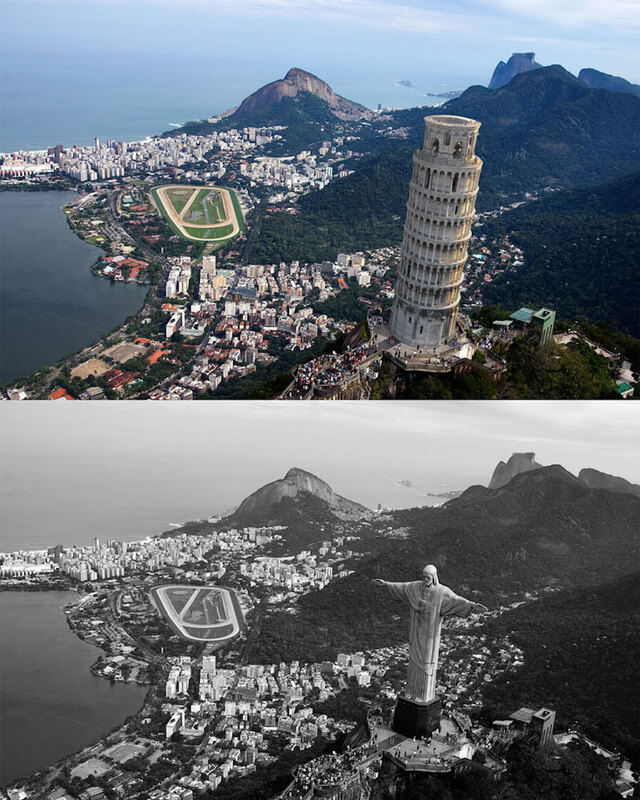 An inventive design competition posted to Australian virtual design studio DesignCrowd explored this question with a challenge to designers to reposition the world’s most hyped monuments in all-new locations using high-resolution images. Designers were tasked with making the extrication of the Big Ben look believable, inserting in its place the Sydney Opera House, the Eiffel Tower, or the Great Wall of China. 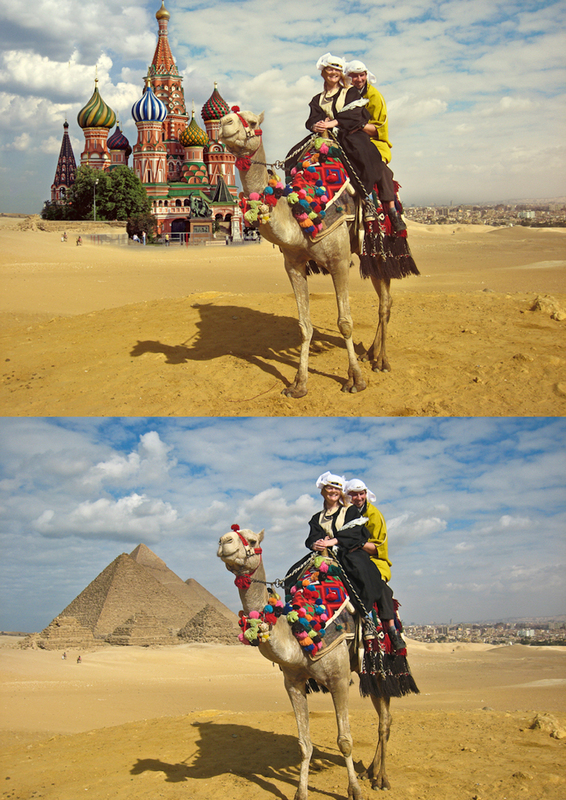 The first-place accolade went to a Photoshop-aholic who had supplanted Moscow’s St. Basil’s Cathedral in place of the Great Pyramid of Giza in Egypt. 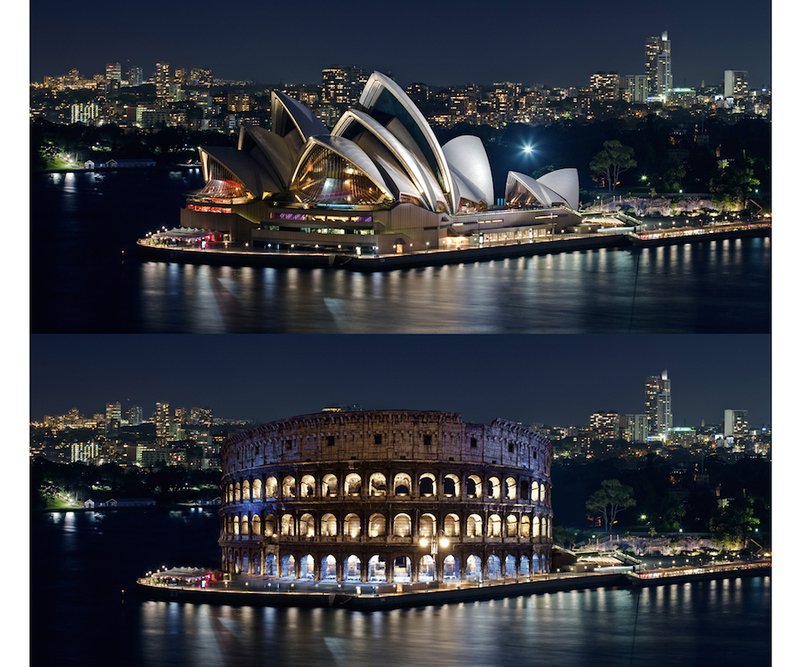 Snagging second place was a seamless overlay of the Roman Colosseum where the Sydney Opera House had once stood. Meanwhile, another designer made the Sydney Opera House seem a natural addition to the Thames riverfront overlooked by the London Eye. 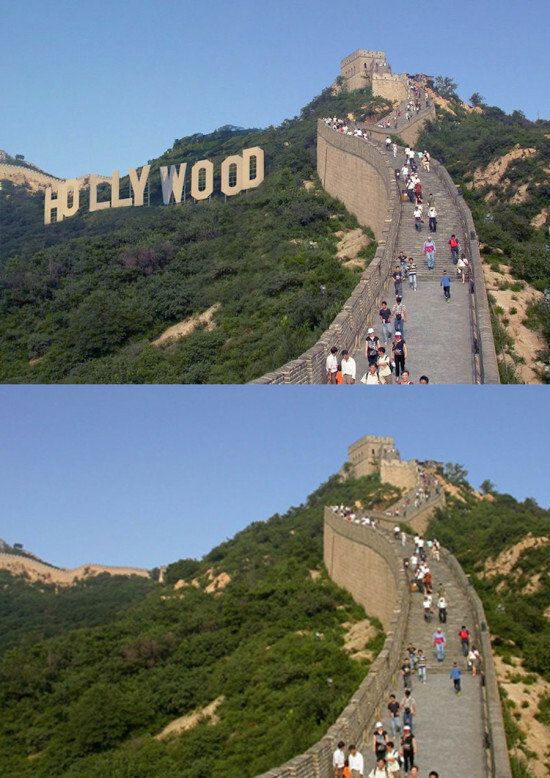 Another creative effort saw the Hollywood sign superimposed on the hills along which the Great Wall of China undulates. 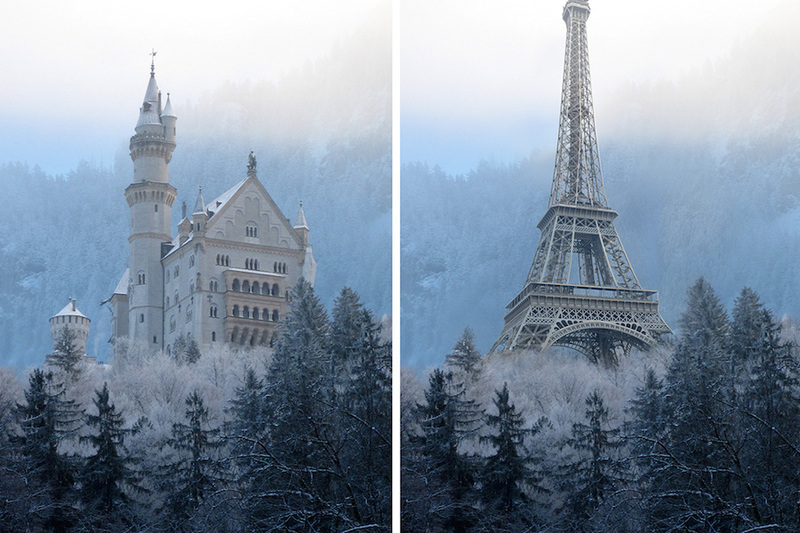 The design brief, posted to the crowdsourced graphic design bidding site, received 92 designs from 25 designers.